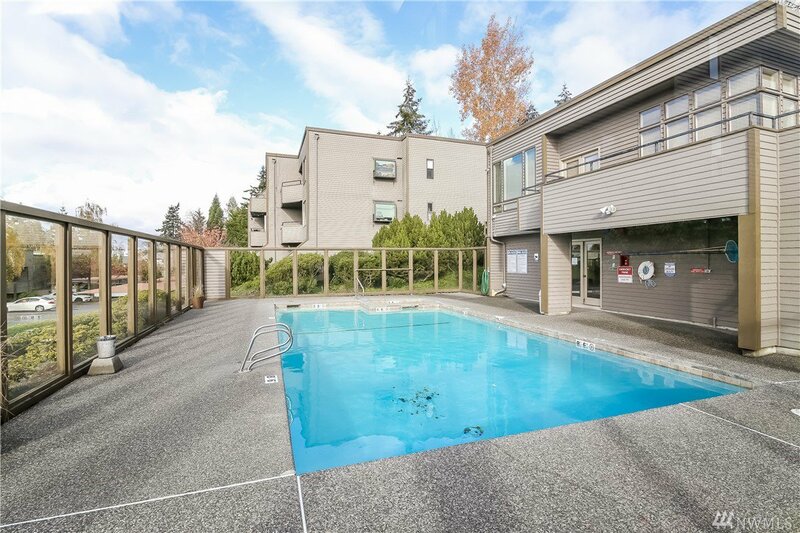 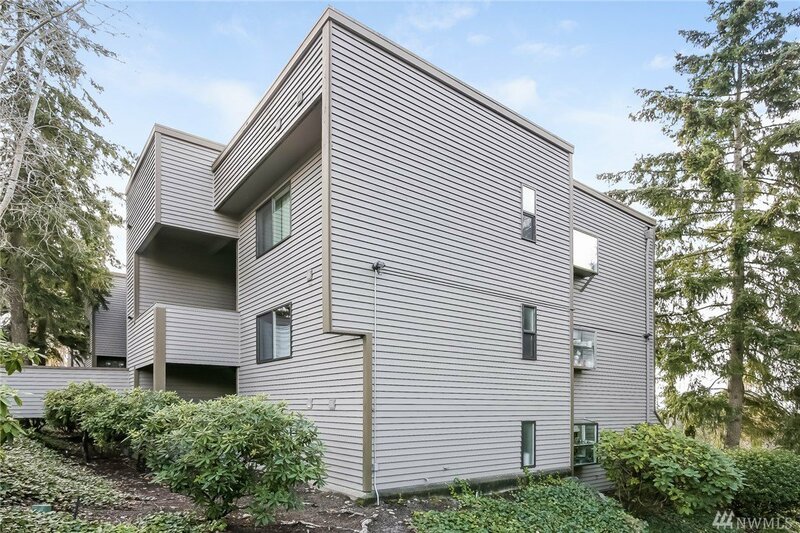 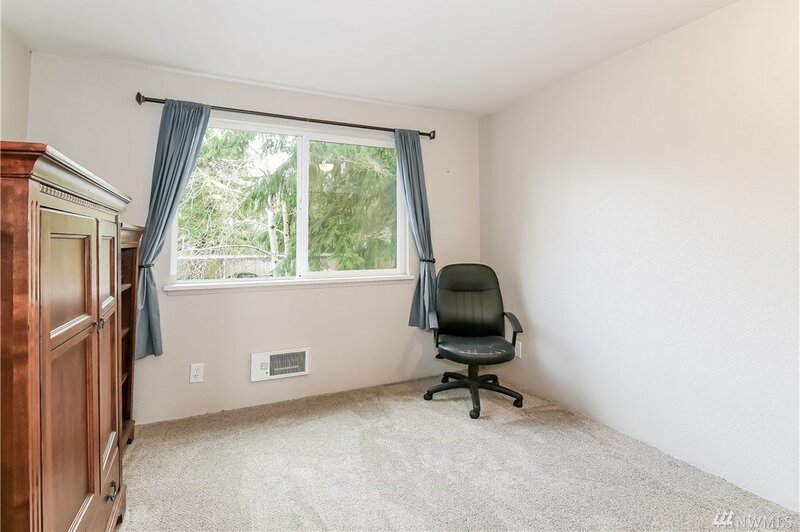 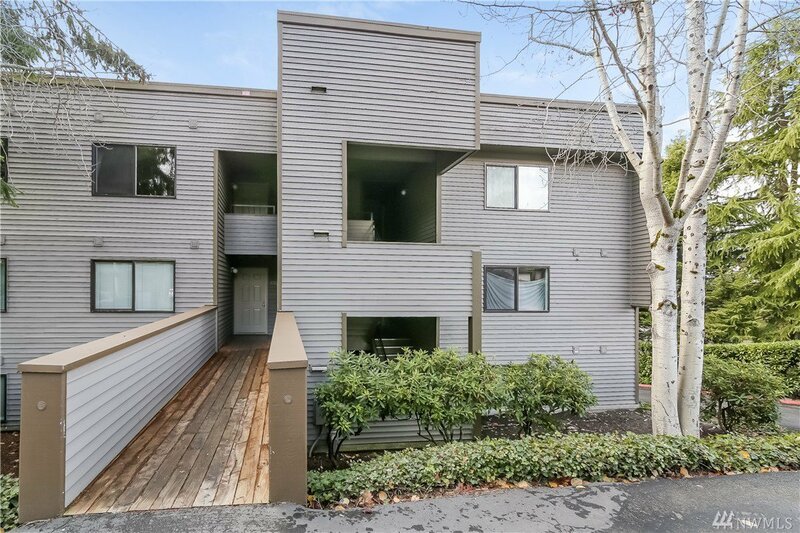 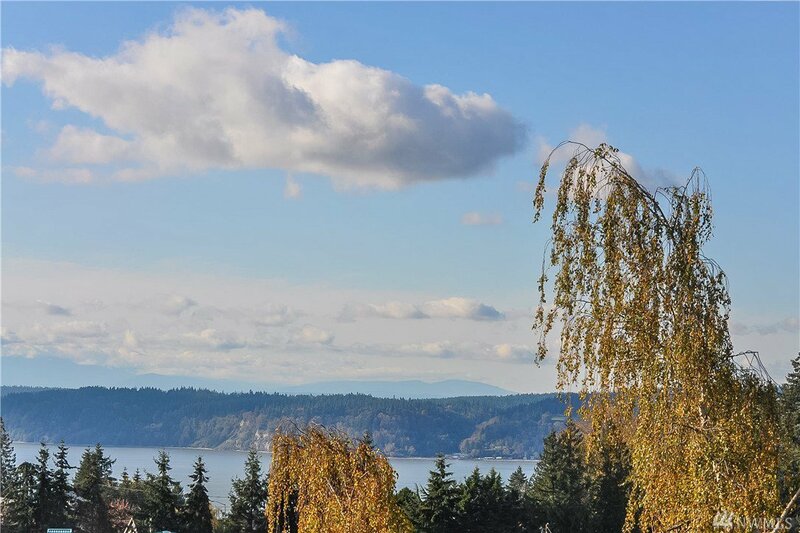 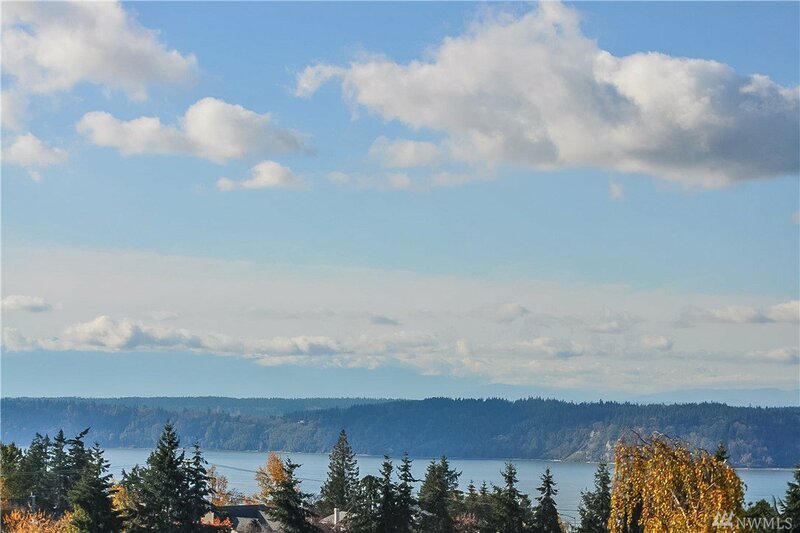 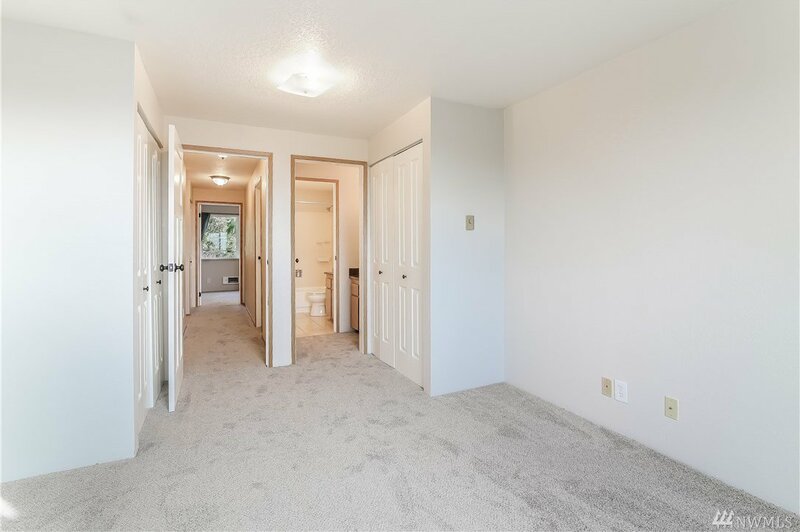 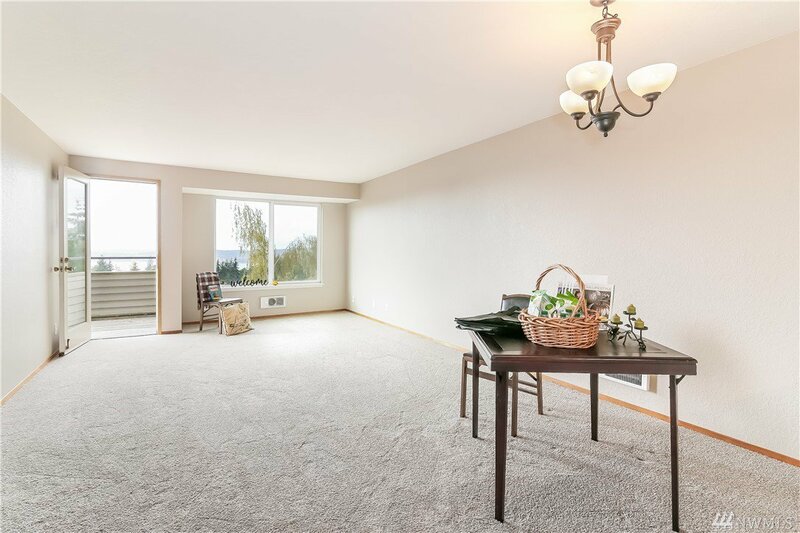 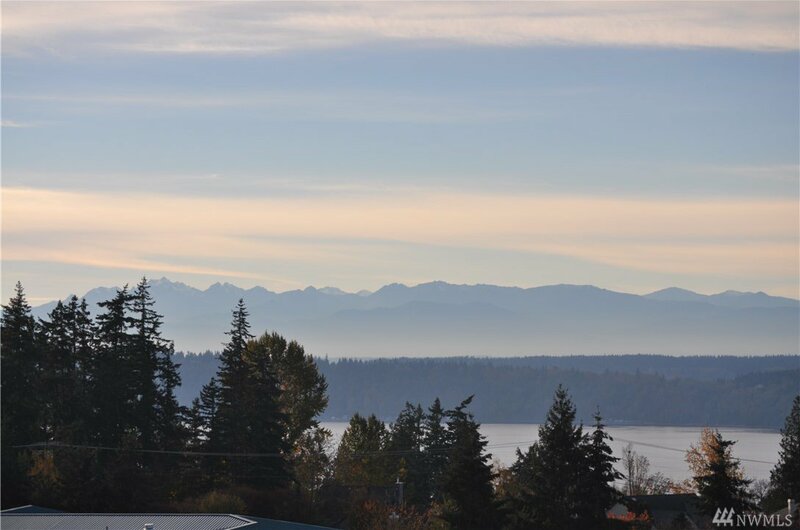 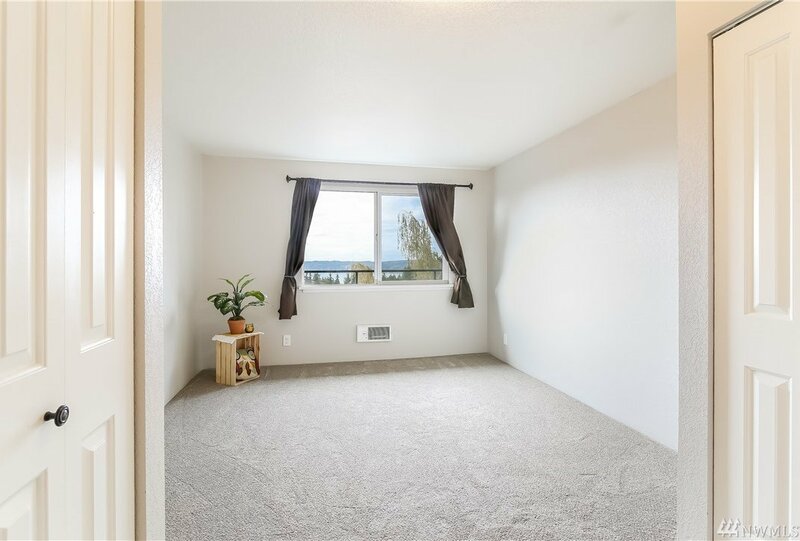 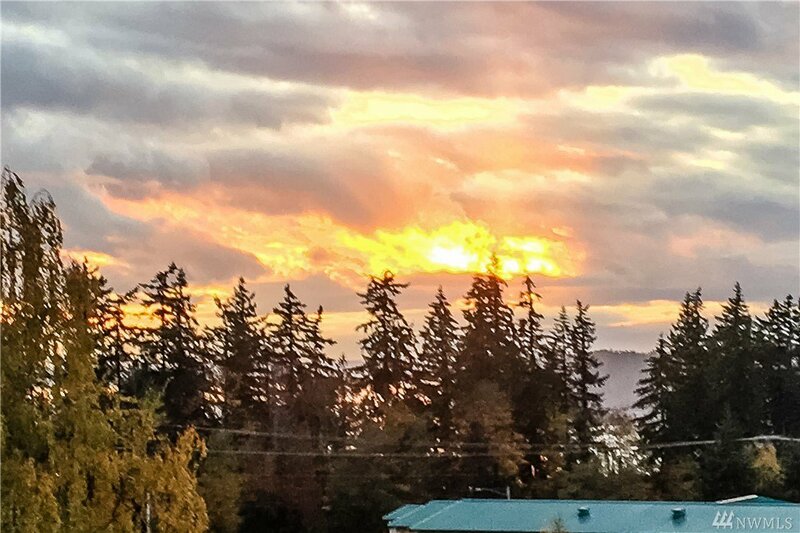 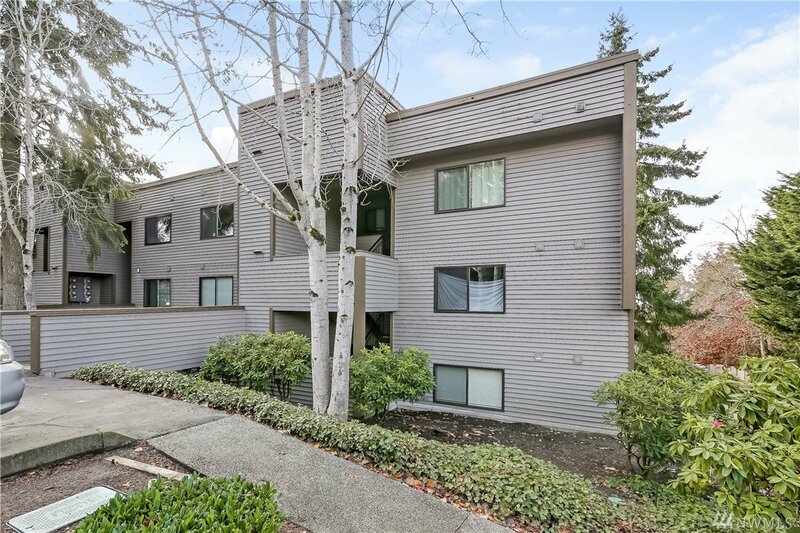 Nothing compares -Upon entry you soak in the Sound and Olympic Mountain VIEWS from this open 2 bedroom condominium. 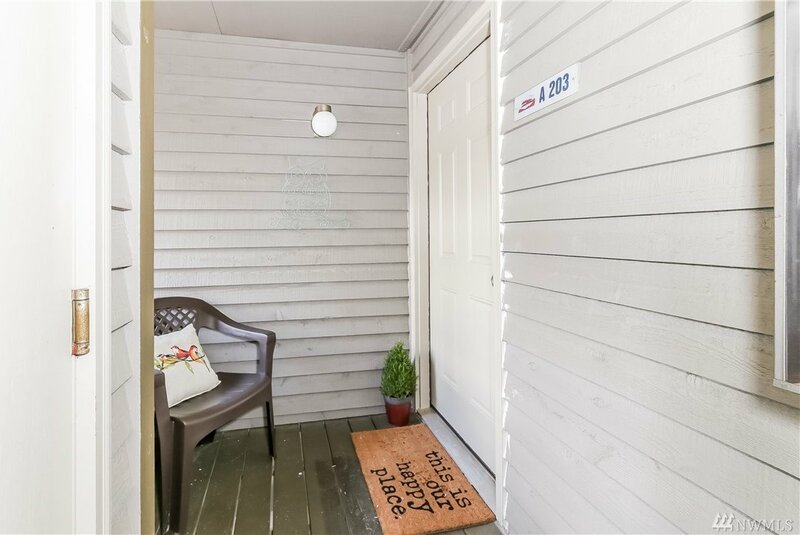 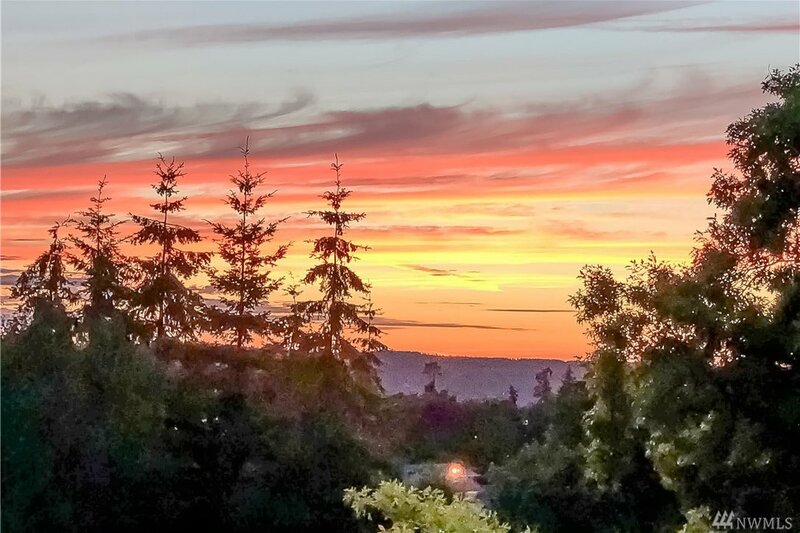 Top Floor|End of Bldg A with large picture windows and a private balcony captures spectacular sunsets. 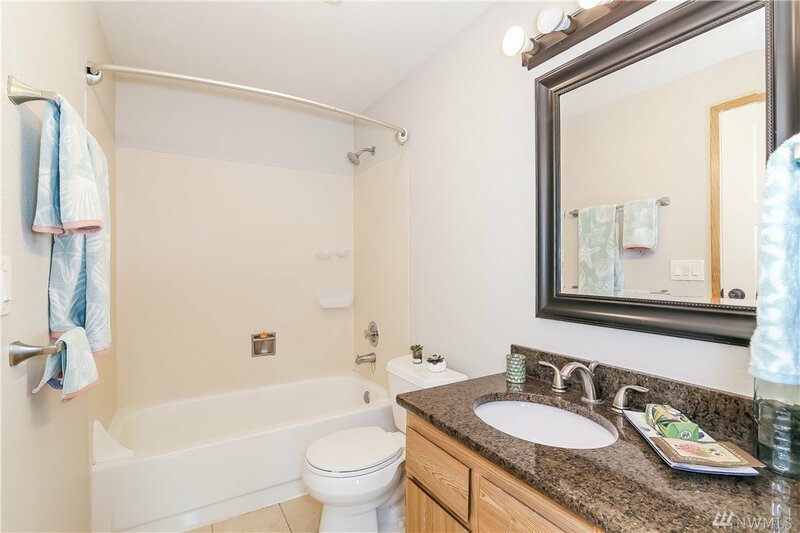 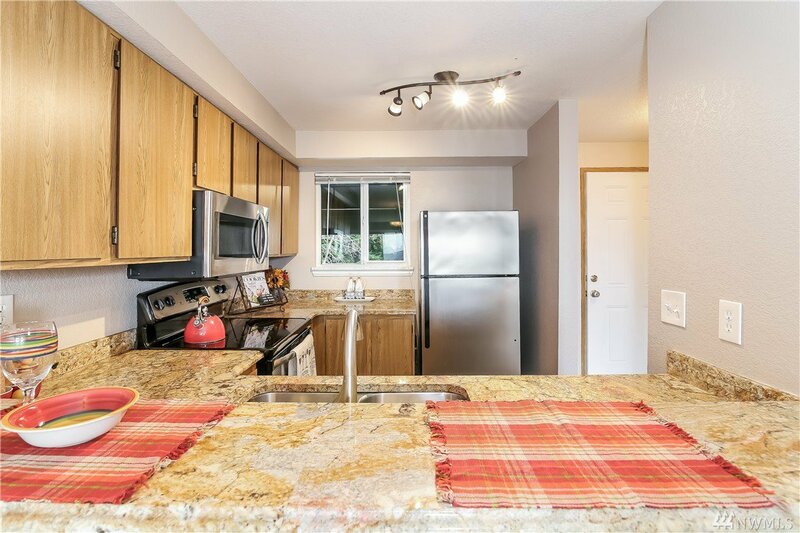 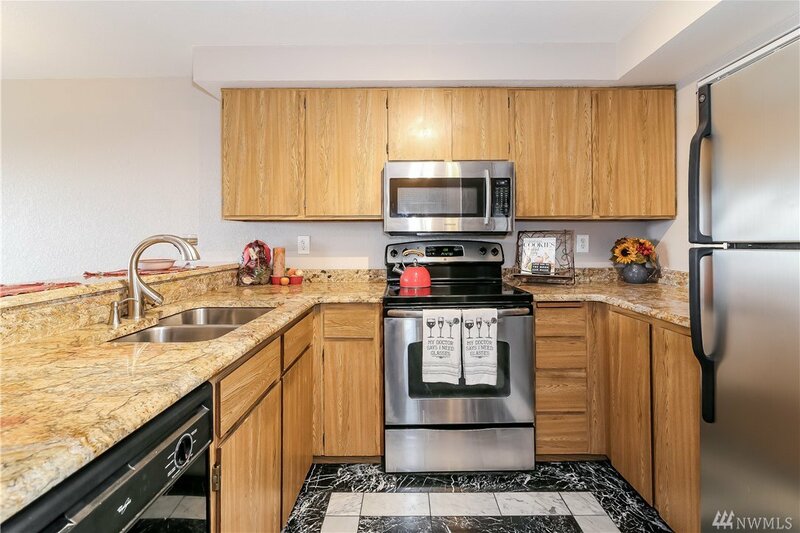 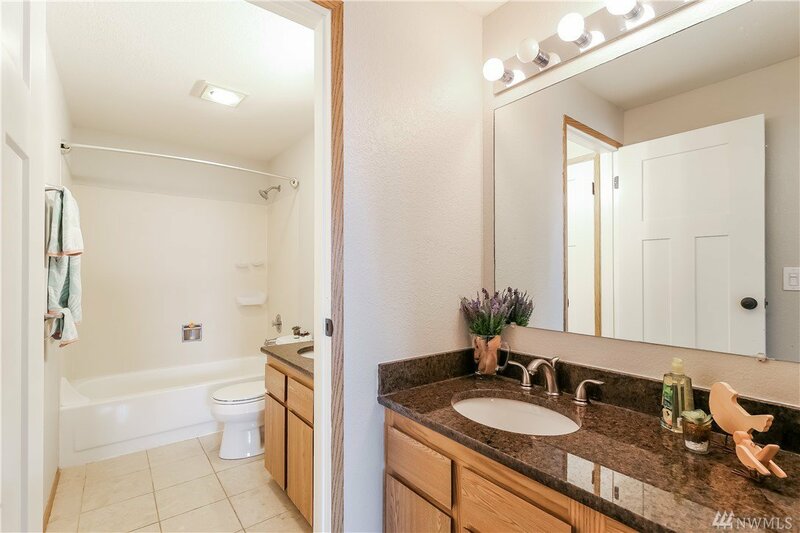 Both kitchen and bathroom have slab granite countertops. 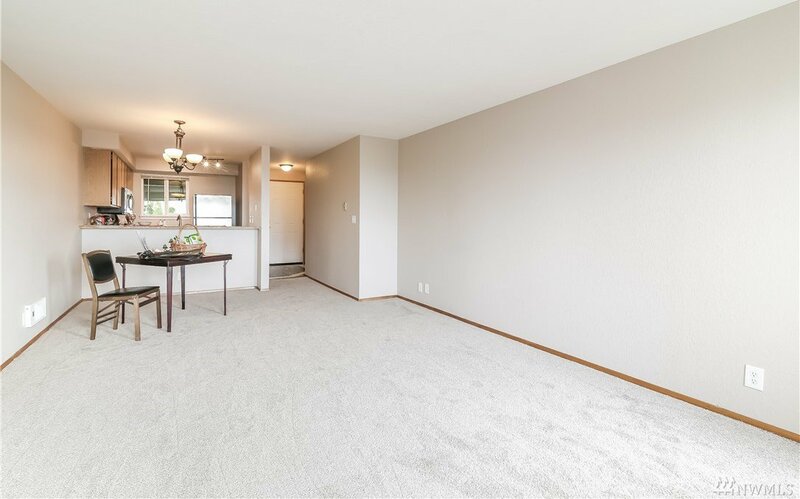 Brand new carpet. 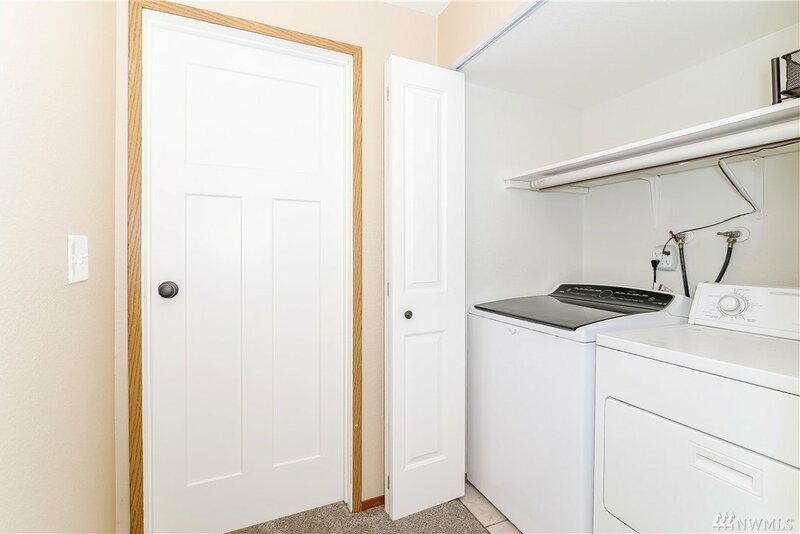 Full sized laundry in hallway. 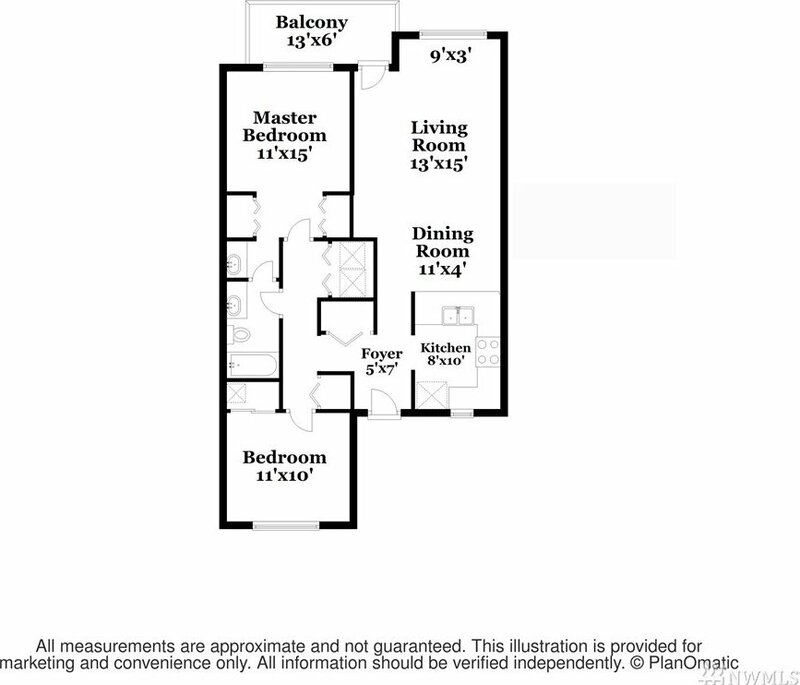 Common areas inc: fenced dog yard, clubhouse with pool, exercise room and spa. 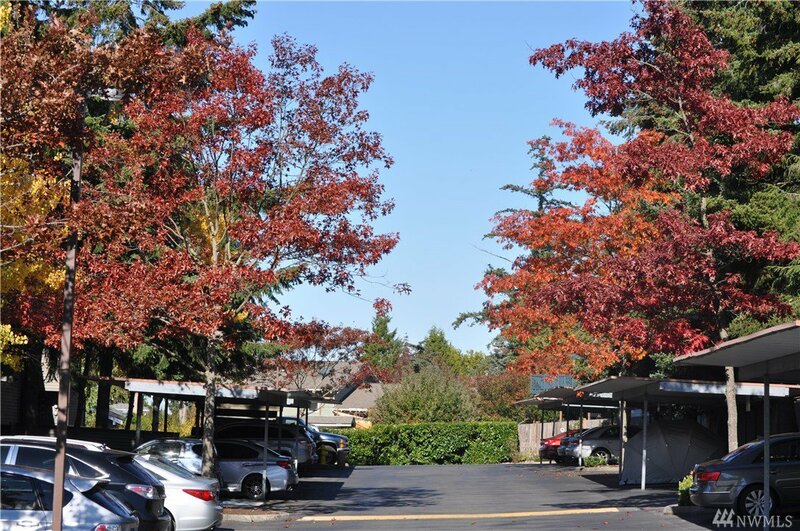 Assigned carport. 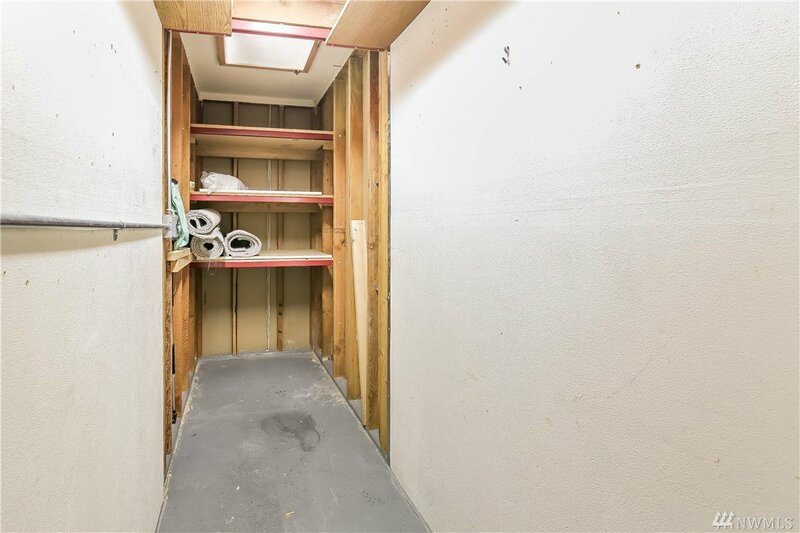 Large addt'l storage. 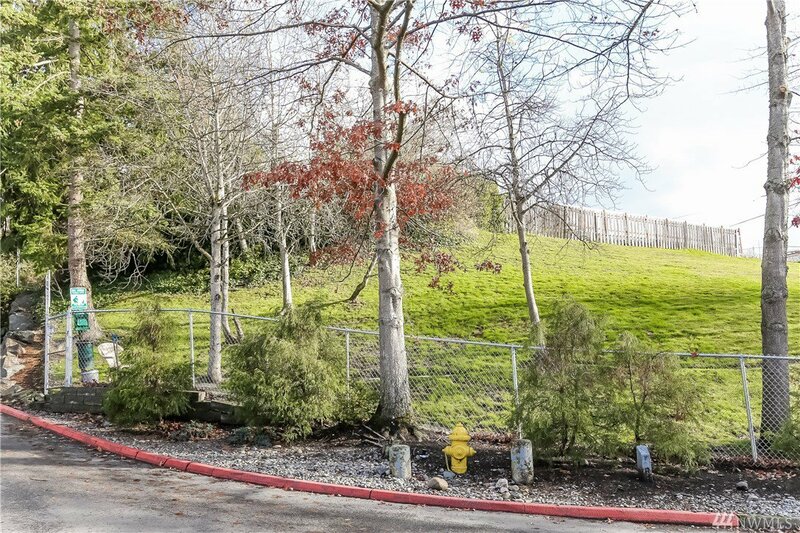 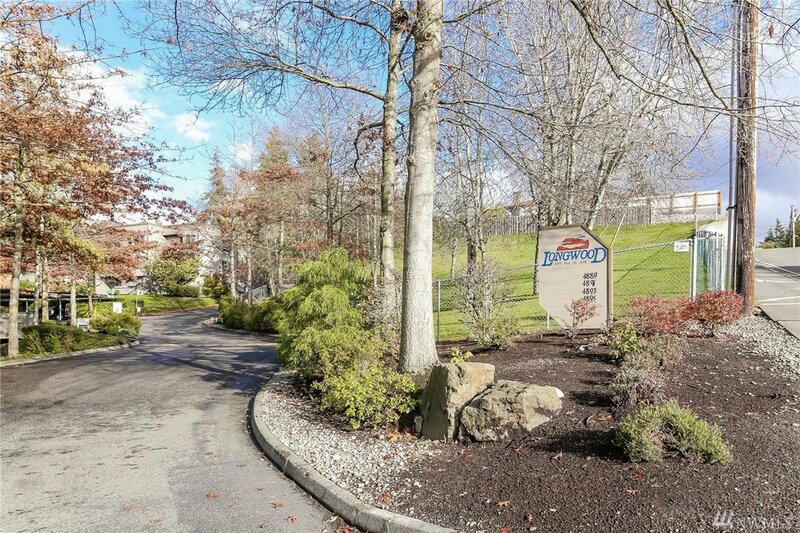 Conveniently located to freeways and ferry getaways.